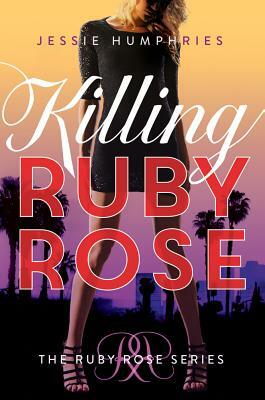 In sunny Southern California, seventeen-year-old Ruby Rose is known for her killer looks and her killer SAT scores. But ever since her dad, an LAPD SWAT sergeant, died, she's also got a few killer secrets. To cope, Ruby has been trying to stay focused on school (the top spot in her class is on the line) and spending time with friends (her Jimmy Choos and Manolo Blahniks are nothing if not loyal). But after six months of therapy and pathetic parenting by her mom, the District Attorney, Ruby decides to pick up where her dad left off and starts going after the bad guys herself. When Ruby ends up killing a murderer to save his intended victim, she discovers that she's gone from being the huntress to the hunted. There's a sick mastermind at play, and he has Ruby in his sights. Ruby must discover who's using her to implement twisted justice before she ends up swapping Valentino red for prison orange. With a gun named Smith, a talent for martial arts, and a boyfriend with eyes to die for, Ruby is ready to face the worst. And if a girl's forced to kill, won't the guilt sit more easily in a pair of Prada peep-toe pumps?